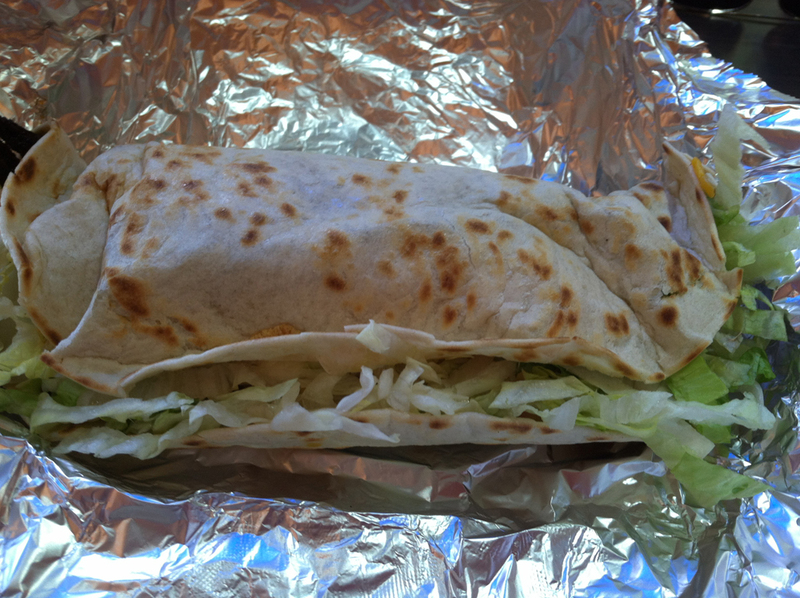 One of the more frustrating things about where we live is that there’s not a great taco place that we can run into when we have that hankering. There’s a nice Mexican place, but it’s sit-down and sometimes I want to just call in a bag of tacos and have my wife pick them up on her way home from work. So, we got pretty excited when we were leaving Target one day and saw a new place called Yummy Taco opening up soon. Well, the other weekend it was actually in business, we gave it a shot and all had pretty delightful food. Above you can see the chicken and beef burrito I had which was more of a giant taco, but who’s counting? I will say that this is a rather interesting establishment because everything about it screams “Chinese food place” from the decorations and staff to the picture menu above the ordering station. But, none of that matters when you realize they’re making their own tortillas on the spot and making killer food. It’s still not super close, but it’s nice to know there’s a solid taco joint nearby we can hit up while running errands. About a month ago, my inlaws came into town and watched our daughter while my wife and I went out for a nice Italian dinner around Valentine’s Day. Meanwhile, they discovered a new barbecue joint we didn’t even know about called Handsome Devil that’s actually above an ice skating rink (that we also didn’t know about). We’ve actually got a lot of solid BBQ joints nearby, but I think this one will be tops on our list. Brothers has been so-so and Johnny D’s is a bit far away for more of a casual dinner, so Handsome Devil takes the top spot. 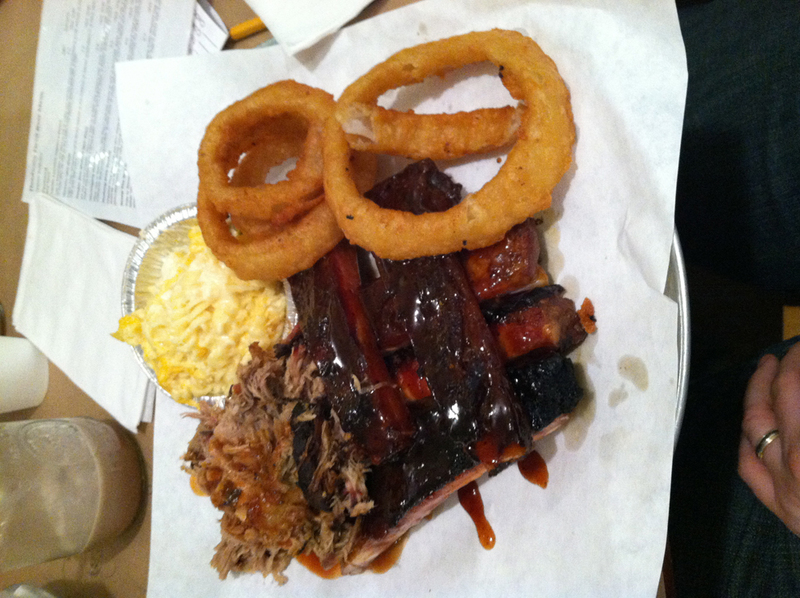 I had the ribs and pulled pork along with some mac and cheese and onion rings, all of which were delightful. Plus, they’ve got a variety of local beers on tap which I always appreciate. And finally, I have to sing the praises of Fiddlestix once again. The above photo comes from their St. Patrick’s Day menu which, as always, was some of the best Irish food I’ve ever had. 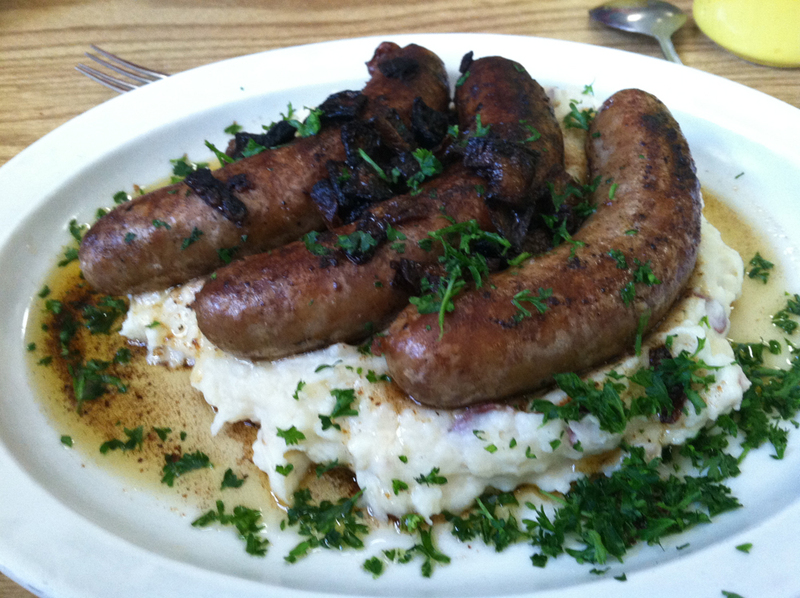 This is the bangers and mash which was so good I wish I could have it every day. The mashed potatoes had a healthy, but not overpowering dose of horseradish which made for a delightful side. Looking at this picture is actually making me hungry.